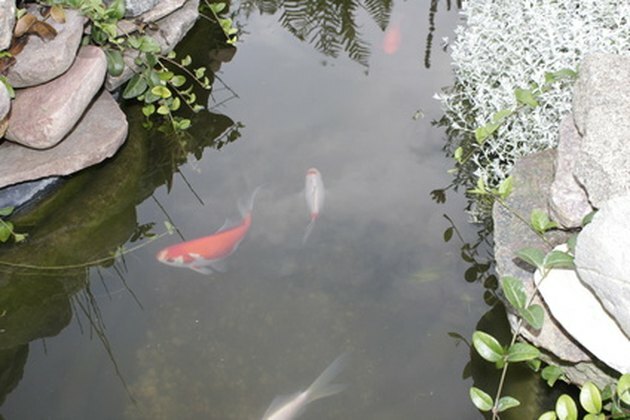 Fish ponds add a beautiful dimension to landscaping on any scale. 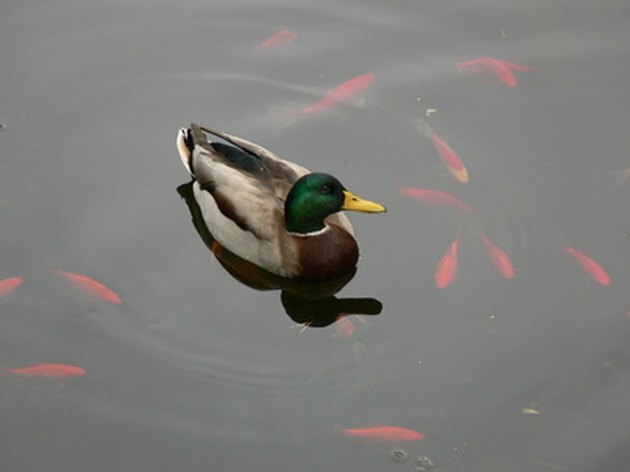 Whether the pond is large or small, it must have adequate depth for fish to survive the cold winter months. The area a pond covers depends largely upon the size of the yard or garden. Whether a backyard fish pond is 3 feet or 8 feet across, the recommended depth for the survival of the fish is between 30 and 48 inches. Koi ponds should be at least 3 feet deep. The ideal depth of a pond that supports a population of koi is 48 to 60 inches, although koi can survive with a minimum depth of 36 inches. That depth offers the koi protection from wading birds and also allows for a more uniform water temperature. 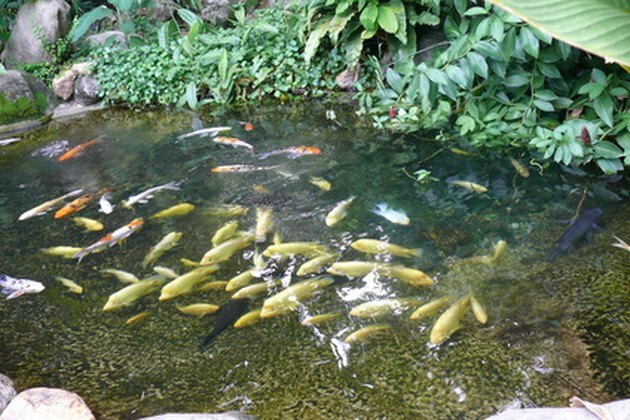 Large ponds support more aquatic life, but require greater depth. Ponds of 1/2 acre or more can support more fish and aquatic plants, but require greater depth. Cold water ponds that are spring-fed need to be between 8 and 10 feet deep, while ponds that are not spring-fed should have a depth of 16 feet. The water supply for large warm water ponds comes from surface run-off. The Monroe County (New York) Soil and Water Conservation District recommends a minimum depth of 8 to 10 feet for such ponds. 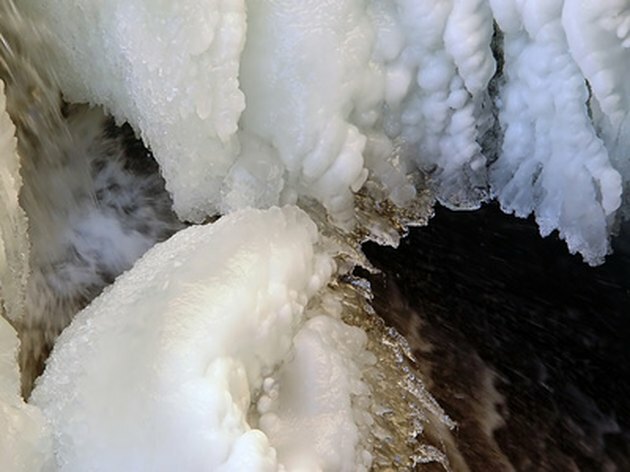 A portion of a pond must be kept free of ice. In addition to providing a proper depth, a pond owner should make certain to keep some of the pond's surface area clear of ice. This is necessary for a proper exchange of gases, allowing toxic gases to escape while allowing oxygen to enter. Is Black Algae in a Swimming Pool Harmful?